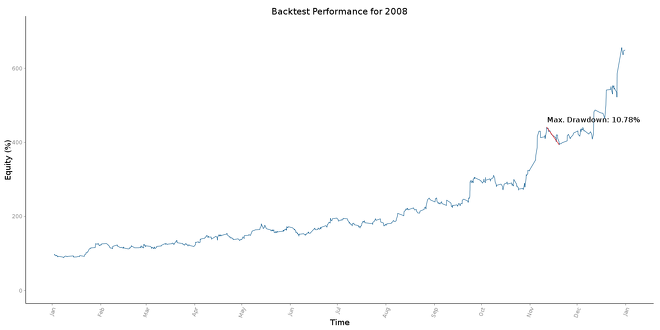 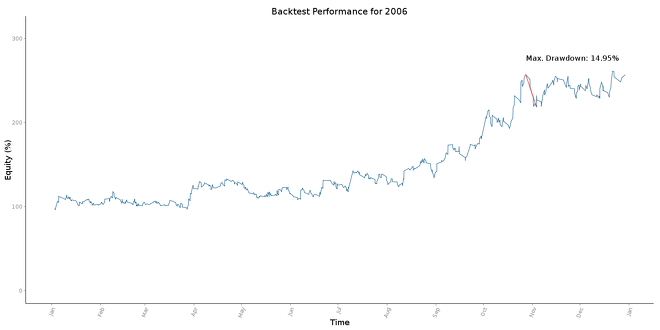 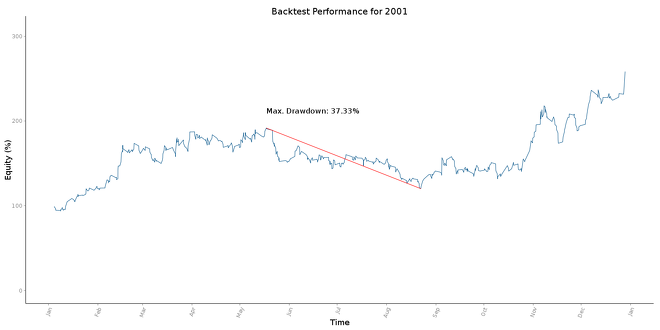 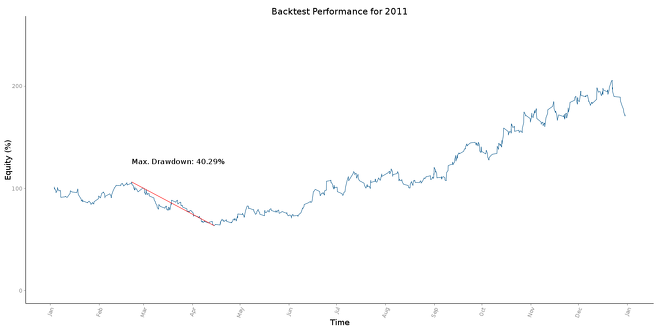 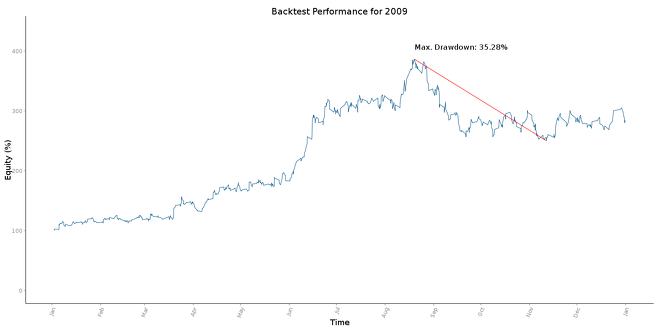 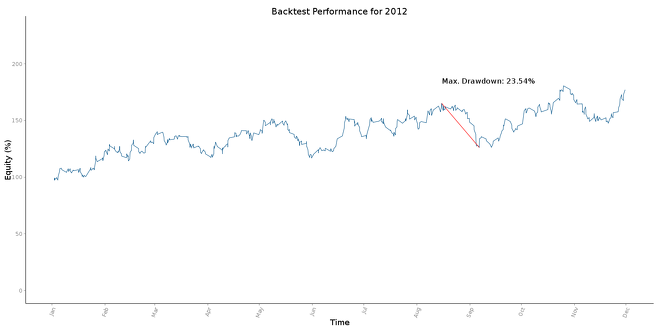 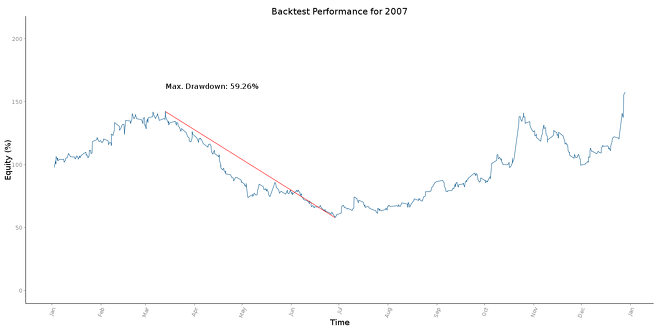 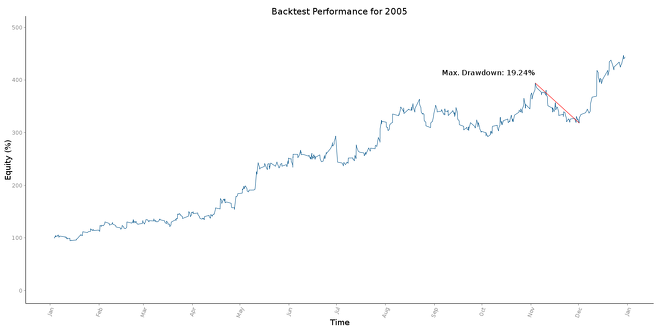 The forex beginner strategy performed well through backtesting over the past 11 years. 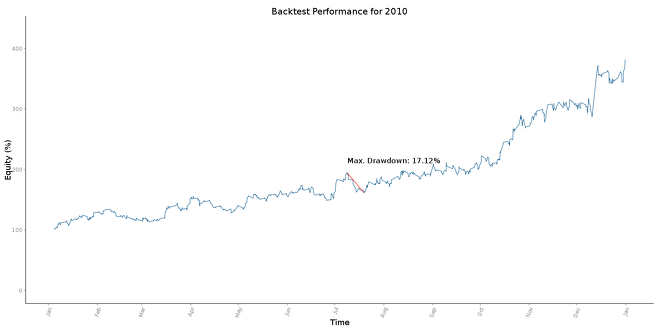 The charts below show annual returns ranging from 31.29% to 563.45%. 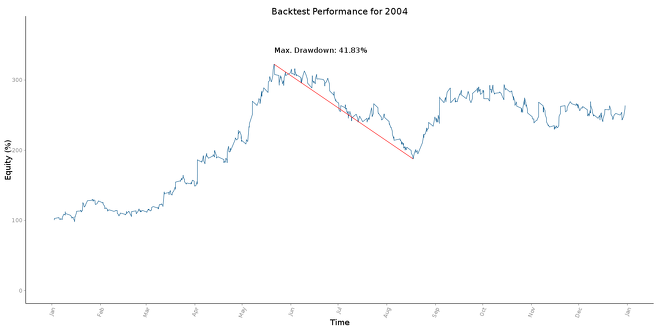 It is clear that the strategy has merits, but please note that for each year, the beginner strategy had a drawdown period ranging from 10.78% to 59.26%.